Posted October 14, 2017 in Proposal Management. It puts the focus on the first half of the sentence. It slows the reader down by creating a stop-and-go effect. And when you overuse the introductory clause, you bury the lead. It makes it harder for your reader to understand your main idea. When you write like this, it puts the focus on the first half of the sentence. This is because the introductory clause is the first thing we read. Every idea does not need an introduction. If you want to focus the reader’s attention to the idea in the introductory clause, it should go first. Put the introductory clause at the end of the sentence if it only plays a supporting role. Casual use of the independent clause invites the reader to interpret which part of the sentence carries the main idea. The idea that is most important in your writing, as in the example below (the year of the event), should come first. Both are correct, but the focus of each is different. In 1776, we signed the Declaration of Independence. We signed the Declaration of Independence In 1776. When you write like this, it slows the reader down by creating a stop-and-go effect. First, we read a sentence fragment. Next, we pause for the comma. Then, we read the next part of the sentence. Finally, we go back to link the two parts of the sentence together. When you write like this, using a compound sentence, tying together two or more related subjects, you slow the reader down. 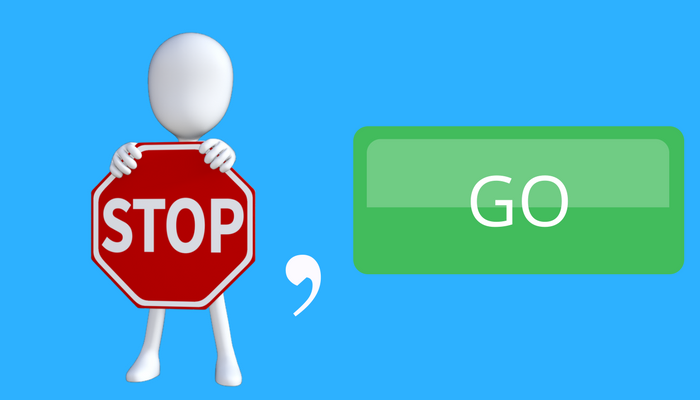 Putting the introductory clause at the end of the sentence eliminates the stop-and-go effect. It makes it easier to read. When you write like this, and when you overuse the introductory clause, you bury the lead. I’ve seen complex paragraphs with four or five sentences with introductory clauses. The clarity of your writing suffers when every sentence in your paragraph starts with an introductory clause. Think about it. Read a sentence, stop, go back, and reread the sentence to put it in context. Repeat the process four or five times for each sentence in the paragraph. Then do it again for the paragraph. How many times do you want the reader to read the paragraph to get your point? How many ways do you want the reader to interpret your intent? Simply your narrative by reducing the casual use of the introductory clause. When you write like this, it makes it harder for your reader to understand your main idea. The constant reading, pausing, reading, going back, and rereading a sentence interrupts the reader’s flow. This stop-and-go writing style forces the reader to think. How do the two parts of the sentence relate? Which part of the sentence has the main idea? How do these sentences fit together? Where do they lead? You want your writing to persuade, not confuse, the reader. Limit the casual use of the introductory clause in your writing. It reduces ambiguity by putting your main idea first. It improves the flow by eliminating the stop-and-go effect. It improves the clarity by reducing complexity. Trust me; it makes your writing more persuasive. This is really insightful, I must say.